If you ever buy a new oven or have spent the last few hours making it look like new, you just know with a couple of weeks it will have oil spills and grease splats all over the base again. With these Non-Stick Oven Liners you can place it on the base of the oven and it will catch all the spills and grease keeping the bottom of the oven looking like new. 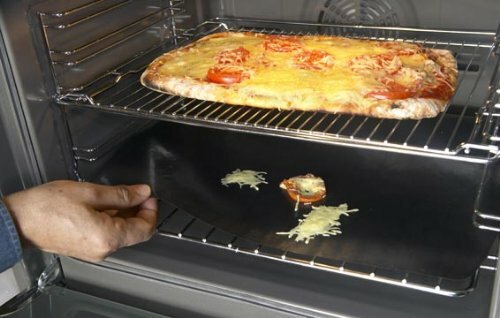 With this you will never have to clean your oven again, just remove the Teflon Liner and wipe clean with warm water. It takes heat up to 500 degrees and with this Teflon Non-Stick Oven Liner you never have to clean the bottom of your oven again.